This new cafe in Veterans Avenue is ten to fifteen minutes walk away from my university. I've always wanted to try this cafe since the first time I heard about it which was since I got back from Davao City. If you haven't still know that I went to Davao City. Well yes, I did! And I pretty much wrote different contents about my trip. 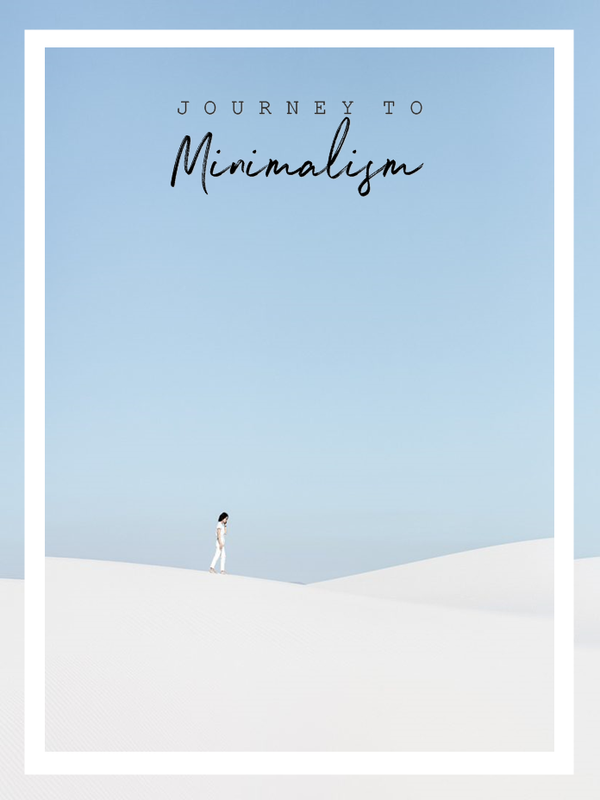 It would make my heart happy if you check it all out at the end of this article. 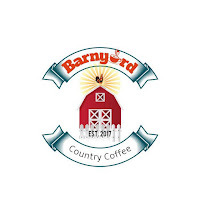 Shall we start the recap of my experience in Barnyard Country Coffee? Let's go. I already went to this cafe twice now to observe their services attentively so I could write a genuine review of this establishment. First thing to talk about is its architecture, exterior and interior design. Before that, I just want to clarify that I'm no expert, and my opinion will be based on my interests and tastes. Its exterior design is very catchy, they have outdoor seats with flashy colors like red and brownish color, which I think is a good idea so whomever walk/ride across the place, the cafe will instantly get people's attention. 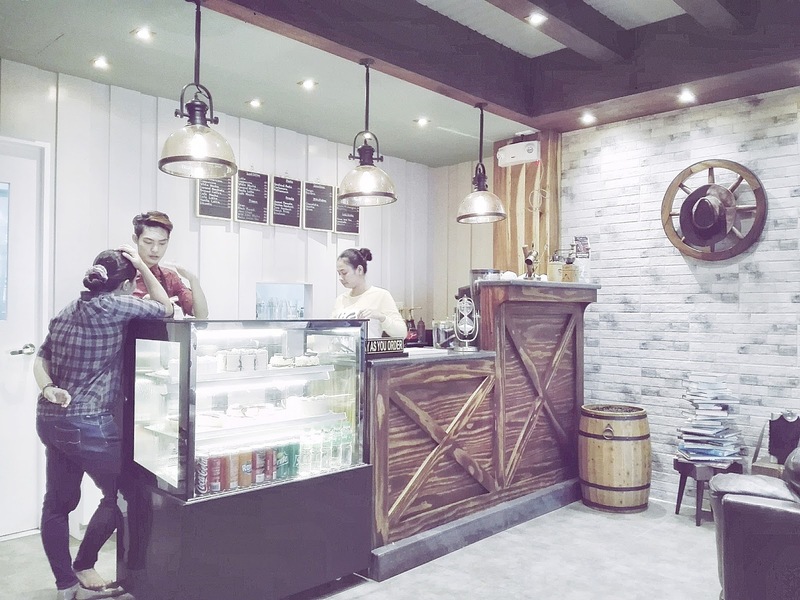 Its interior design stocked to the theme of the cafe's name "Barnyard". They have quite antique decors like old radios, animal head decor, and battleship books/comics. 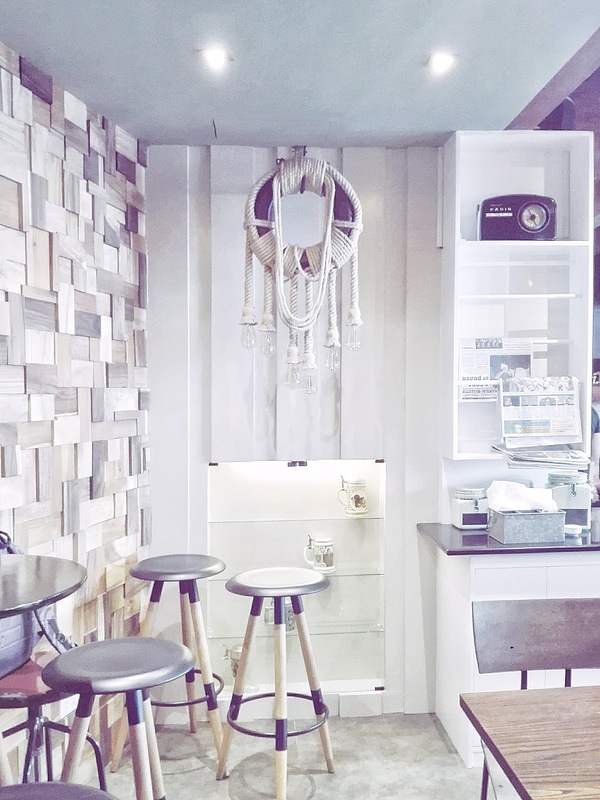 Aside from these unique decors, I personally think that they have a Scandinavian interior design but they are more with brown colors. Next, my favorite part, the food! My first visit with my friend Oliver. I went for their seafood pasta and vanilla milkshake, and he went for carbonara and oreo frappucino. I honestly didn't enjoyed the seafood pasta because it was too oily, I didn't get to savor the pasta because of its oiliness. Since I love pasta, I can't say that I hate it. The oil was the only problem, dude. However, the carbonara was delish, because its cream was just enough and perfect. As for our drinks, vanilla milkshake was the bomb. I love vanilla in general so I really enjoyed this drink. My friend really enjoyed the oreo frappe because according to him, the coffee was the star of the frappe. Since I don't drink coffee, I didn't get to try it. But at least my friend loved it! 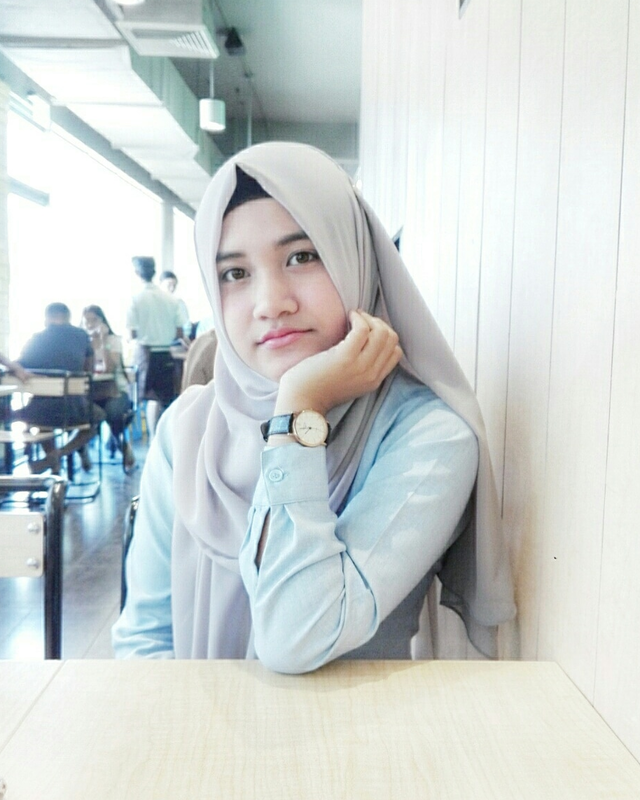 My second visit was with my sister, Fharhana. 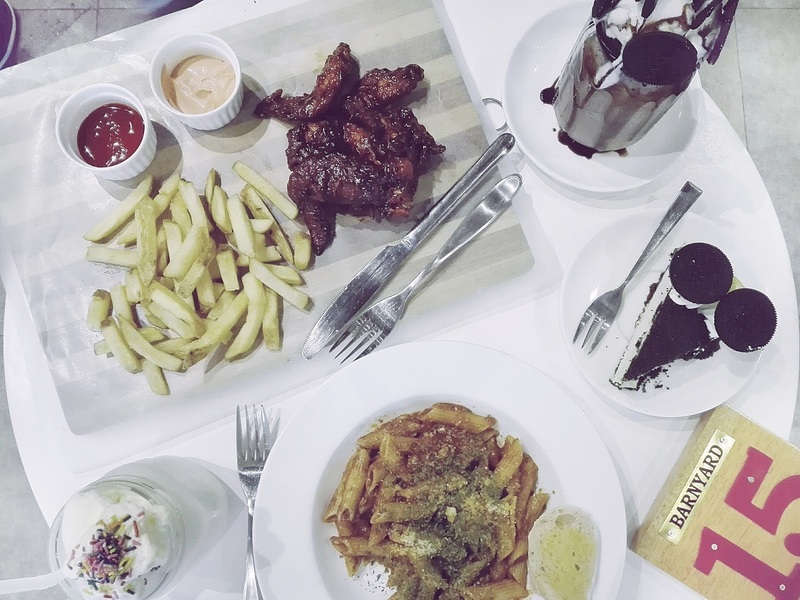 I ordered Puttanesca and vanilla milkshake (because it's already my fave), and my sister went for their bestseller buffalo wings w/ fries and oreo frappe. We decided to order Oreo cheese cake as well for dessert. Puttanesca was perff although it was a bit oily, it wasn't as oily as their seafood pasta. So your pasta lover was satisfied with her lunch. The main dish and the ultimate star was their buffalo wings. It was so good, I'd love to eat it everyday. As for the Oreo cheese cake.. it was a bomb! My sister and I loved it, however we didn't get to finish the cake because we were too full with our lunch and our stomach couldn't handle another bite of oreo cheesecake. How sad. I felt like I was pregnant because I was too full, which is a nice thing because even in affordable prices, they serve satisfying size of meal. Time for their customer service! They were actually very accommodating but not that friendly. That's okay, because at least when you ask them something, they don't give you "the look" so it wasn't really a big deal if they weren't that friendly. It also took like fifteen to twenty minutes before all our food was finally served. What do you expect? It's not McDonalds, it's a cafe, lol. I would like to officially announce that they serve no pork. One of their managers were a Muslim lady and I accidentally saw their cooks wearing hijab (covering their hair) which I assumed that they are Muslims. Their service crews were speaking in Tausug as well which is a Muslim tribe here in Zamboanga City. It was a relief when I knew that the establishment doesn't serve pork. Yay! Click here for Davao City contents. Looks cool :) I'm glad you could feel comfortable there. It actually does especially in person. I'm glad too. It is actually a lovely cafe. Yes however, their seafood pasta was too oily *bleh*. Aww at least the other meals were delish. I love vanilla milkshakes and anything with Oreos! 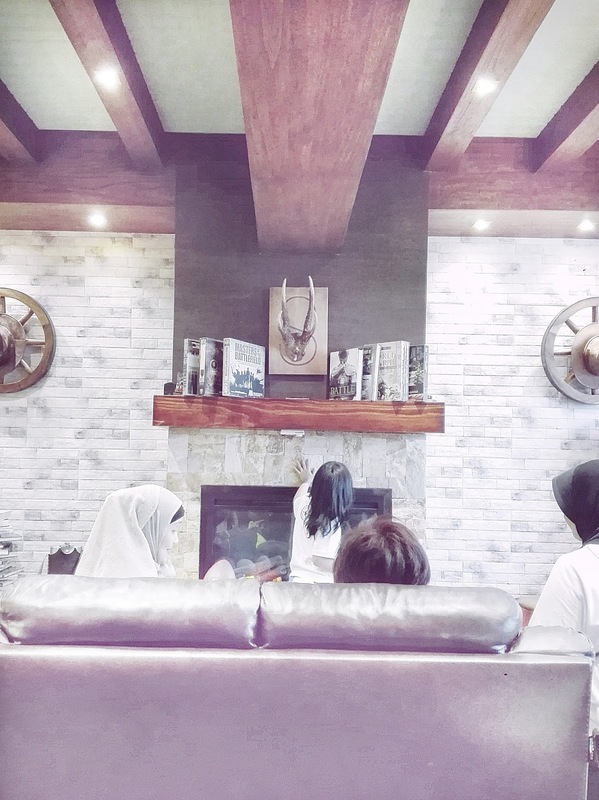 The decor makes the cafe seem very cosy and warm, especially with the books and warm brown tones. I'm a lover Vanilla milkshakes too! Sure it is, and it gives better mood as well. Aww I love this place too, so cozy and full of yummy food. Thanks for dropping by, Marchelyn. I have noticed that oil is a huge problem with pastas. You just don't put lot in it! Only a drop will do fine. But gladly, many people understand that :) And ohh... So sad about the service. But other that that, it sounds like an amazing place to visit!